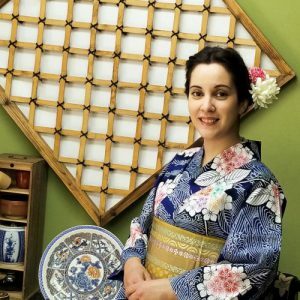 Why don’t you have a great experience of wearing an authentic Kimono in Osaka? What I mention here are not cheap polyester kimonos with noisy colors. 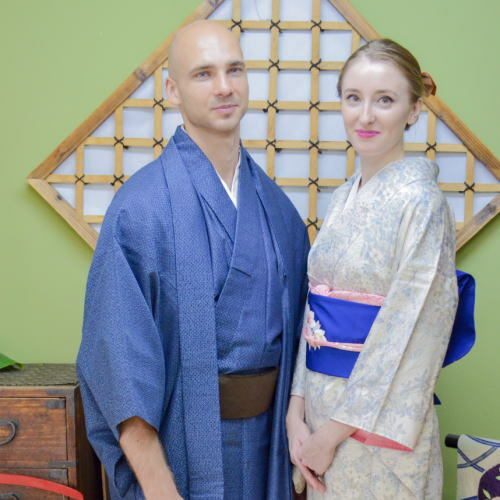 We offer real, authentic, traditional Japanese Kimonos, that Japanese people wear for real. As a secondhand kimono dealer in Japan, we have hundreds of stocks of those authentic kimonos. You can choose a course of kimono styles – Yukata, Kimono or Furisode. Many variation of each kimonos, we help you to choose one for you, carefully dress it in traditional Japanese style. You may feel you are treated as a princess! Photo shoot by a photographer and those many photo data (20 or more) are given to you by e-mail or LINE. Male Kimono is also available. It is going to be a great activity for couples! Also we have men’s Yukata, Kimono and Montsuki/Hakama. You will have wonderful portraits together in Kimono. 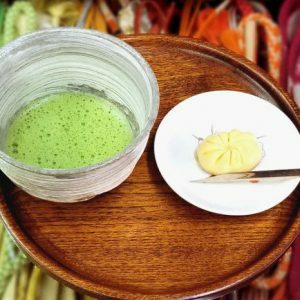 At night ONLY all the courses can have an option of Matcha green tea with Japanese sweets set – after photo shooting. 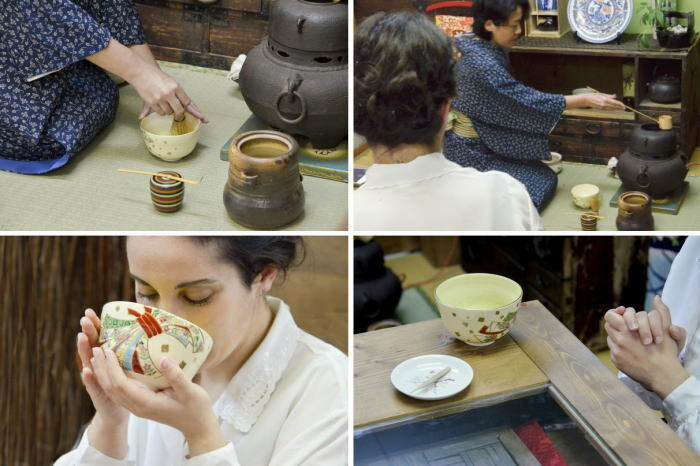 Also available “tea ceremony performance”, Matcha green tea made in front of you. Tea ceremony performance is done on Tatami floor, but you see the performance and enjoy your sweets and tea at a table. Please make a reservation at least 36 hours before and make payment in advance – we will send invoice. If you would like to experience “tomorrow”, please contact us directly if it is available. Cancellation should be done 2 days before the booked day. The copyright of the photos by our photographer belongs to Kimonoya Japan. You can use those photos for personal use, but not for business – can not sell the photos. Copyright© Kimono Experience and Photo Shoot in Osaka All Rights Reserved.